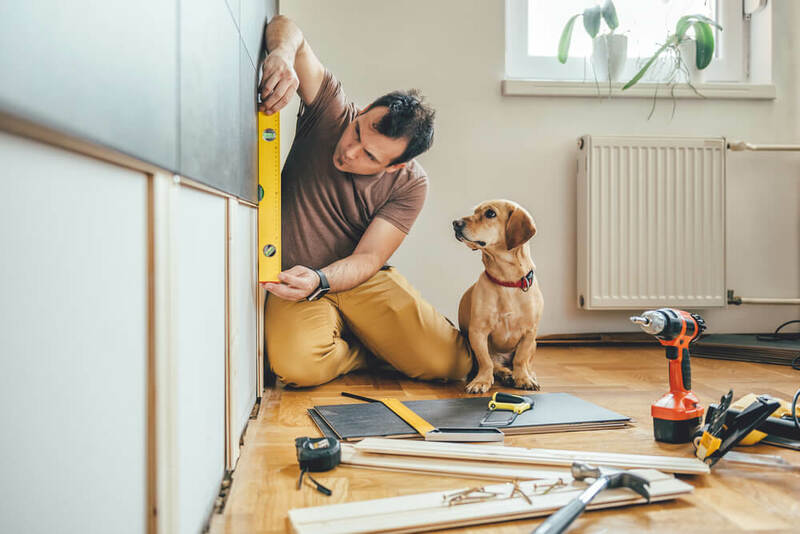 While some home renovation projects are best left to the pros, there are many fun side projects you can take on with basic tools, minimal work and no experience. Not only can you do them alone, but they’ll cost less when you take labor costs out of the equation. Leave the pros to their work and throw a little sweat equity into your home with these these five projects, from peel-and-stick floor (yes, that exists!) to overhead garage storage. Hiring professional painters can save you time and effort, but if you’re not doing a big job, why not do it yourself? A paint job can bring new life to your home and add a splash of color to an otherwise stark white home. Not to mention you can use post-painting pizza and beers to bribe a few friends to help, which makes for a fun day with people you love. You can save over $300 by doing your own paint job, according to Enemy of Debt. But, remember not to cut corners, even if you’re trying to save by going the DIY route. 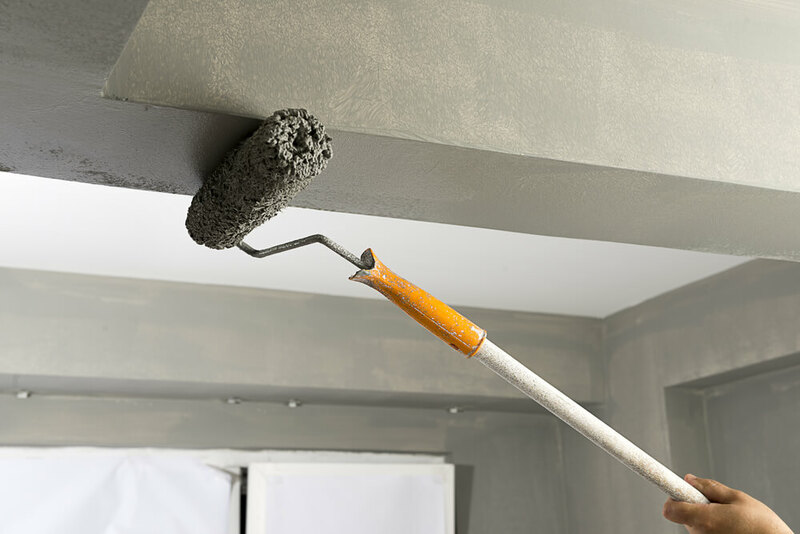 Invest in high-quality rollers and paint brushes, and choose a paint that has a primer; this will save you time and money on touch ups. If you have less than three layers of flooring, you don’t need to remove your old floor. Once you have a smooth, clean surface to work with, measure your floor to determine the pattern and start laying down tile. Follow this tutorial from DIY Network and you’ll have a brand new floor in a matter of hours. Your garage can be much more than a place to park your cars. You can turn it into a useful storage space, a home gym, an entertainment center or even a spare bedroom. Whether you want to renovate your garage or simply give it a new look, install epoxy floor coating. The best part: it’s easy to install yourself. All you need is the epoxy paint, paint brushes and a roller extension. You can finish the job in a day and your garage floor will look great despite wear and tear and vehicle traffic. Once you’ve upgraded the floor, add some overhead storage in your garage. You can reduce clutter and maximize your space by moving lesser-used items to the ceiling. "Overhead storage is great for keeping items away from children and pets, and ideal for seasonal storage: Overhead ceiling storage is perfect for items that are rarely used and seasonal, like snow gear, inflatable pools, or Christmas/Halloween décor," explain garage experts. You can complete this DIY home upgrade in a single afternoon. Besides the storage racks, you’ll need a sturdy ladder and standard tools like a hammer, drill, wrench and screwdriver. Check this tutorial to get some building inspiration and guidance. Clear some time on your calendar, roll up your sleeves and get to work. With basic tools and a little know how, you can complete these DIY home improvement projects and bring a new look and feel to your home. Jessica Thiefels has been writing and editing for more than 10 years and is now a professional freelancer and consultant. She's worked with a variety of real estate clients and publishers, and has been featured on Forbes and Market Watch. She’s also an author for Inman, House Hunt Network, Homes.com and more.